U.S. Men’s National Soccer Team legend Landon Donovan is bringing his talents to San Diego. The San Diego Sockers announced Donovan will play in their 2nd Annual Celebrity Game March 12th at the Valley View Casino Center. The game will take place during half time of their first round divisional match against either the Ontario Fury or Tacoma Stars. The match is scheduled to start at 5:05 p.m.
Donovan, who moved to San Diego recently, is the all-time USMNT leader in goals (57) and assists (58). He is the MLS leader in regular-season goals (144), assists (136) and playoff goals (25). 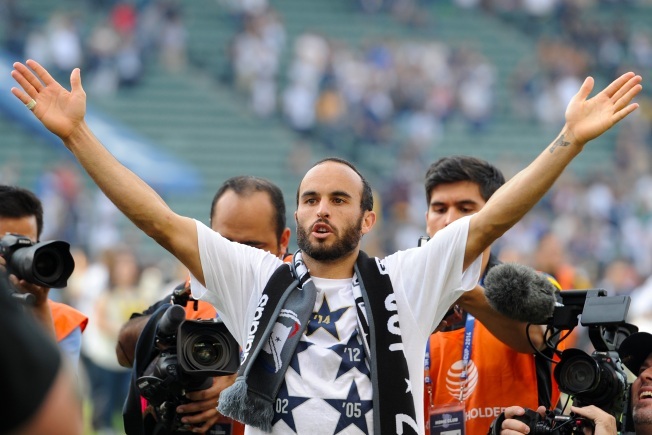 Donovan is also the Los Angeles Galaxy’s all-time leading scorer and is considered the best player in MLS history. But in a press release by the Sockers, Donovan says it’s the local team that he grew up with.